Now that Paris Games Week is over, we've collected a few new announcements that seemingly slipped through the cracks. There is also a handful of titles here from Play Manchester, where it's emerged that they're coming to consoles too. The list is below. 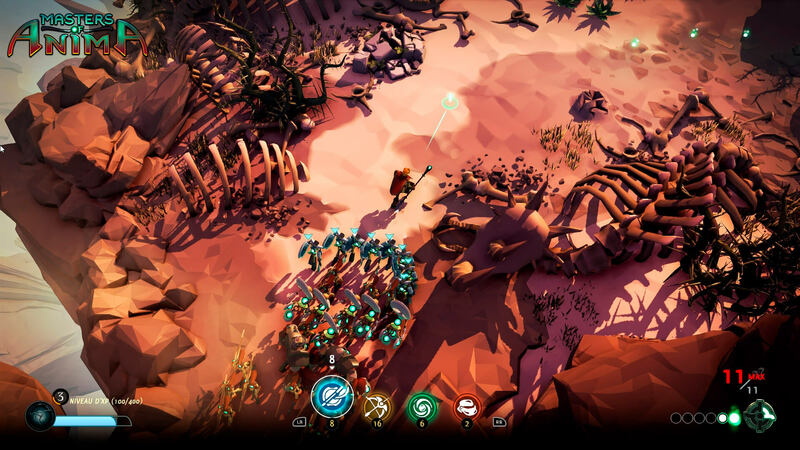 6 Eyes studio's story-driven tactical JRPG met its Kickstarter funding target with barely any time to spare, but the self-confessed “spiritual successor of Final Fantasy Tactics” will now be making its way to Xbox One. In this fantasy world, the Immortal Council rules over all of the lands. They rose to power after destroying a rampaging mythical beast a millenia previously, and they wish to avoid such a catastrophic event reoccurring. Their mortal agents, the Arbiters, enforce the law and players will take control of Kyrie, who is trying to uncover the corruption within the Council. 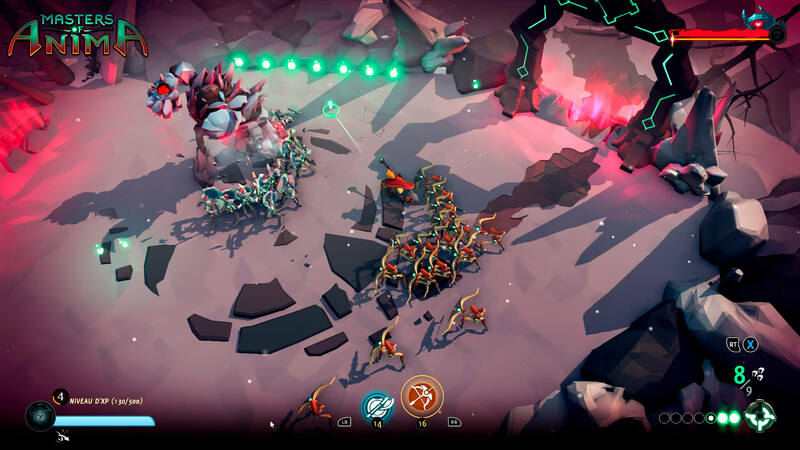 The game features a complex class system and challenging turn-based battles where units may fall, but to avoid players reverting to earlier save files to avoid permadeath, the game places the unit in a temporary time out until they've rested and healed sufficiently to face battle once again. You'll be able to try it out in Q3 2018. 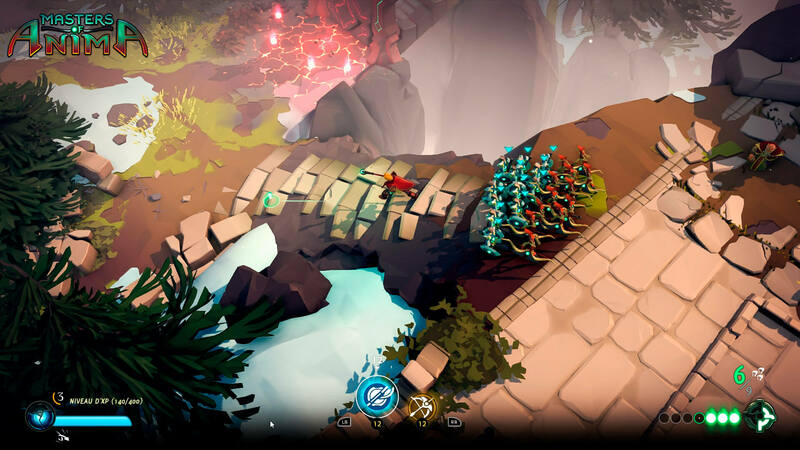 Flux Game Studio's upcoming fighting title depicts a (hopefully) alternative future. It's 2067 and the world's citizens are glued to a deadly reality tv show, GUTS (Gory Ultimate Tournament Show). Competitors beat each other to a pulp in an attempt to become the next fighting idol. Players will need to learn special combos and move sets that are changed according to the number of limbs they have remaining. Not only will you need to time your severing attacks perfectly, but you'll need to avoid your opponent's blades and the stage's own hazards too. As well as a story mode with 18 different endings, the game will include online and local multiplayer party modes. 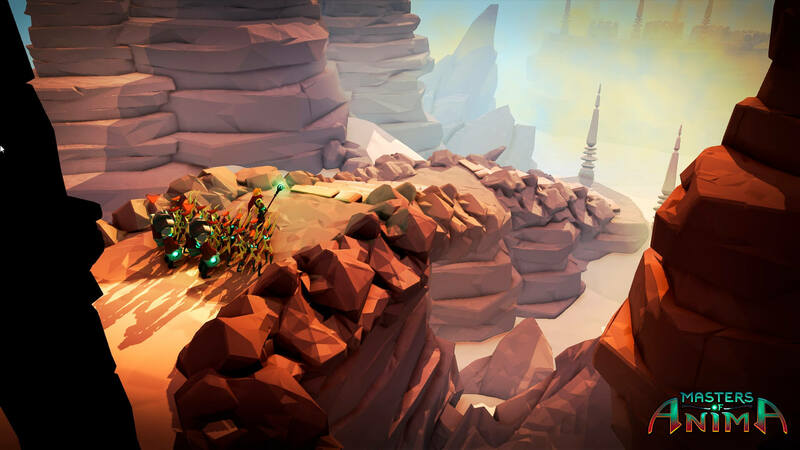 The title will be arriving on Xbox One early next year. Passtech Games has teamed up with Focus Home Interactive to bring their adventure title to unspecified consoles in spring 2018. Players assume the role of Otto, an apprentice of Anima, in the world of Spark. He can wield powers that are the source of life and he wishes to earn the rank of Master. This will allow him to marry his fiancée Ana, but there's just one teensy weensy issue — she's currently being held captive by the terrible Zahr and his tribe of Golems. 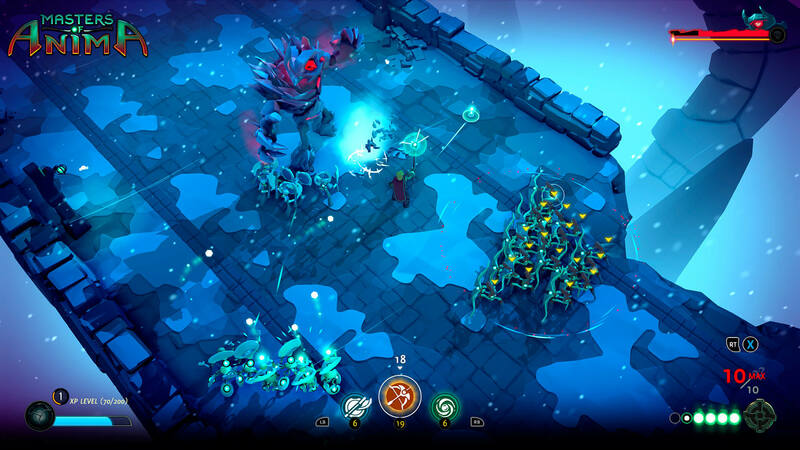 Otto's powers allow him to summon up to 100 magical Guardians to assist in "strategic, action-packed" battles, each of which has their own abilities and talents to master. By ranking up, players will unlock new powers both for themself and their Guardians until they become Master of Anima. If I ever choose to give out an award for the most bizarre title of the week, this one would win today's award. Onion Soup Interactive's racing/running title isn't necessarily a race to the finish line — it's a race for survival. Players must tackle obstacle courses filled with crazy physics, hazards, weapons and power ups. As soon as one player gets far enough ahead for a competitior to be fall off the left side of the screen, that competitor is eliminated. The courses have been inspired by real life Japanese locations like Kyoto, Osaka and Tokyo. Up to four players can race at once locally. While there is no release window yet, the game is planned for Xbox One after it is released on PC. A lot of smaller indie titles begin life as a prototype competition entry and Warpfish Games' speed running platformer is one of those. Originally called Outcry, the title was made for the purpose of Edge Magazine's Get into Games 2014 competition. Three years later, it's a much more polished affair. Players control an unnamed hero who possesses power shoes that give them abilities like super-speed, huge jumps and drifting. The only catch is that they explode when they run out of power, so players must move quickly to keep the shoes charged if they're to stand any chance of reaching the finish line. The title is coming to Xbox One in June 2018. As the title may have hinted, Tate Multimedia's motorbike title isn't just a standard racer. Instead, the 2.5D action arcade title combines destructive combat and "death-defying" stunts in a "retro-future version of 40s and 50s Americana". Players are recruited into the Steel Rats who were once the punk biker gang that ruled over Coastal City. Now they're the only people who can defend the city against an army of junkbots. Players can customise their bikes, pick their characters and unlock new abilities as they progress, choosing their own mix of speed, agility and firepower. The title is due to be released on Xbox One next year. If you've been missing the likes of Top Spin and Virtua Tennis, you may well be interested in Bigben Interactive's latest announcement. Together with developer Breakpoint, they're bringing a tennis simulator to the latest generation of consoles. Although details are scarce, they've promised a "unique system for customizing your strategy during a match, reflecting the tactical, physical, and mental dimensions of tennis". There will be over 30 tennis stars included in the title, such as Roger Federer, Gaël Monfils, Angélique Kerber, Garbiñe Muguruza, Caroline Wozniacki, Nick Kyrgios, Alexander Zverev, and John Isner. You'll be able to try it out on Xbox One next year.